Many people think that YouTube in 2018 is bad idea. Because of the condition of 1000 Subscribers and 4000 watch hours. Some think, there are already huge followers for old You Tuber’s and it is difficult to begin race with them. Trust me friends, these are all your illusion. Think about this, famous You Tubers now are also in your position on someday. But, what makes them to achieve that success? Success is only with those people who can think “I can, I will”. Subscribers and watch hours are not big thing friends, if your content is strong, unique and creative. Don’t choose the topics which are already famous like technology, jokes, beauty tips, foods etc. Choose topics which are different from others. Creativity only works here. Always follow the mindset of audience while deciding your title name. For example imagine you are a chess player and you are making videos on chess. Don’t give titles like greatest chess match, master of chess, think and move etc if you are a beginner. In You Tube search engine the majority of people search like this How to make checkmate in 4 moves, How to checkmate opponent etc. So give the title always people will search for. Simply type your topic related words in You Tube search engine; it will show most searched words by people in order so use them as your tags. 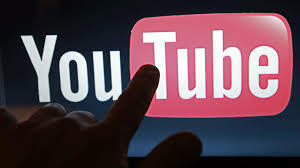 Choose attractive Thumbnail (photo of your You Tube video). Thumbnail decides whether people have to click your video or not. So create your thumbnail in a creative way whatsoever people had to click your video. Description should be more. Describe about your video, use your face book, twitter, whatsapp, instagram links, ask audience to like, share and subscribe your channel. Don’t use copy righted contents like music, songs etc in your video. Always use non-copy righted content. Give information which is helpful for people. For example if you are singer, give information about singing step by step from basics. Give tutorials in many videos. It makes some community of people to subscribe your channel to learn music. Use social media very well to promote your videos. Search for your topic related groups in face book, whatsapp, instagram, twitter, Google, Google plus etc and share your video. Try to search more groups because more group means more watch hour, more viewers and more subscriber. Connectivity with people is most important, ask questions at the end of your video and say comment on some topic. This makes a strong connection between you and your viewers. Don’t make fake videos because trust factor decides how you will grow? Yeah, it may take some time to build your channel; it is purely depending on how unique your subject is. Rome city is not built in one day friends. Learn about SEO by watching You Tube video. If your talent is strong, no one can stop you.